(Matthew 16:13-20), Jesus went to the region of Caesaria Philippi and asked his disciples, "Who do people say that the Son of Man is?". Their responses form the basis of our Gospel passage today. Peter's response was such that Jesus appointed him leader of his Church on earth. And thus our first Pope was commissioned, by Jesus himself. And there has been an unbroken succession of Popes from that day until this day. This is the "Ex Cathedra", the teaching chair of the Church, which takes its authority directly from Jesus through Saint Peter, our first Pope. What was true then is true today, "Whatever you bind on earth will be bound in heaven." Jesus went into the region of Caesarea Philippi and he asked his disciples, "Who do people say that the Son of Man is?" They replied, "Some say John the Baptist, others Elijah, still others Jeremiah or one of the prophets." 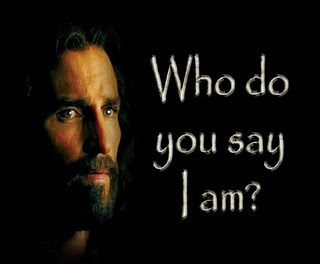 He said to them, "But who do you say that I am?" Simon Peter said in reply, "You are the Christ, the Son of the living God." Jesus said to him in reply, "Blessed are you, Simon son of Jonah. For flesh and blood has not revealed this to you, but my heavenly Father. And so I say to you, you are Peter, and upon this rock I will build my church, and the gates of the netherworld shall not prevail against it. I will give you the keys to the kingdom of heaven. Whatever you bind on earth shall be bound in heaven; and whatever you loose on earth shall be loosed in heaven." Then he strictly ordered his disciples to tell no one that he was the Christ. Our first reading from Isaiah (22:19-23) is a much earlier commissioning of a leader of the people of God that prefigured the commissioning of Peter. In this passage, Eliakim is given the "key of the House of David" by God and called "father to the inhabitants of Jerusalem" much as Peter had been commissioned by Jesus. Thus says the LORD to Shebna, master of the palace: "I will thrust you from your office and pull you down from your station. On that day I will summon my servant Eliakim, son of Hilkiah; I will clothe him with your robe, and gird him with your sash, and give over to him your authority. He shall be a father to the inhabitants of Jerusalem, and to the house of Judah. I will place the key of the House of David on Eliakim's shoulder; when he opens, no one shall shut when he shuts, no one shall open. I will fix him like a peg in a sure spot, to be a place of honor for his family." In our Epistle reading (Romans 11:33-36) St. Paul concludes his long lament from the past two weeks that he is heartbroken at the Jew's rejection of Jesus, yet joyful that the invitation has been extended to the Gentile world. In conclusion, he can only marvel at the "inscrutable judgements" of the Lord. Oh, the depth of the riches and wisdom and knowledge of God! How inscrutable are his judgments and how unsearchable his ways! For who has known the mind of the Lord or who has been his counselor? Or who has given the Lord anything that he may be repaid? For from him and through him and for him are all things. To him be glory forever. Amen. As we contemplate the teaching authority (magisterium) of the Pope and the Bishops, we trust in the wisdom of Jesus in granting it and marvel at how "unsearchable are his ways". While we sometimes do not fully understand the Church's teachings, we trust in her "unscrutable judgement"; and pray for greater understanding.